Gary Carkin is Professor of TESOL at the Institute for Language Education, School of Liberal Arts. His primary academic fields of study are teaching English through drama, using process drama for second language acquisition, and utilizing dramatic techniques as means to accelerated language learning. Dr. Carkin teaches courses in the M.S. TEFL and intensive English programs and directs all ILE dramatic productions. He is founder, coordinator, and co-moderator of TESOL-Drama, an online workshop/forum connected to the International TESOL organization and is a regular speaker and workshop leader at regional, national, and international TESOL conferences where he has conducted Pre and Post Convention Institutes on the effective uses of drama in second language acquisition. He has been an invited speaker at a number of events including keynote speaker at the Third International Conference on English Education and Drama held in Taiwan. Gary was born in York, Maine, grew up in Portsmouth, New Hampshire, studied drama and speech at the University of New Hampshire, acting and directing at Carnegie Mellon University and the Old Vic Theatre School in Bristol, England and then served with International Voluntary Services as an ESL/EFL teacher in Vietnam, 1966-1968. He has always been active in professional theatre and toured with the Players' Theatre of New England after returning from Vietnam. He then took a position teaching at Thammasat University in Bangkok, Thailand where he taught acting, directing, modern poetry, and modern drama as well as produced major American plays in Thai translation including, Death of a Salesman, Streetcar Named Desire, and Ah, Wilderness! He completed his M.A. in Speech Communication at the University of New Mexico and then studied for his doctorate with the leading expert in Indianized drama, Farley Richmond, at Michigan State University. His dissertation topic was "Likay, the Thai Popular Theatre Form and Its Relation to Thai Society" which research was supported by a Fulbright Dissertation Abroad Award. He is married to a Thai lady and frequently returns to Thailand to visit the family and to practice his still imperfect Thai. He has been working at Southern New Hampshire University since 1982. The What, Why, and How of Process Drama, with Shin-Mei Kao, Leslie Sapp, and Jessica Davis. (March, 2010) The 44th International TESOL Convention, Boston, MA. Bringing Language Alive through Process Drama, with Shin-Mei Kao and the TESOL-Drama group. (January 11 - February 21, 2010) Six-week online workshop through the Electronic Village Online. "How 'Strategic Interactions' Can Train Better English Speakers" as part of "The Political and Social Ramifications of Misunderstanding American English". (November, 2009) . Invited Panelist. South Atlantic Modern Language Association Convention, Atlanta, GA. Readers' Theatre from A-Z (2009, March). Full day Pre-Convention Institute at 43rd TESOL Convention, Denver, CO. Using Drama Techniques in the Language Classroom (May, 2008). Invited Speaker, Connecticut Council of Community College Teachers, Tunxis Community College, Farmington, CT.
Introduction to Teaching English through Drama (2008, April) Electronic Village Fair, 42nd TESOL Convention, NYC, NY. 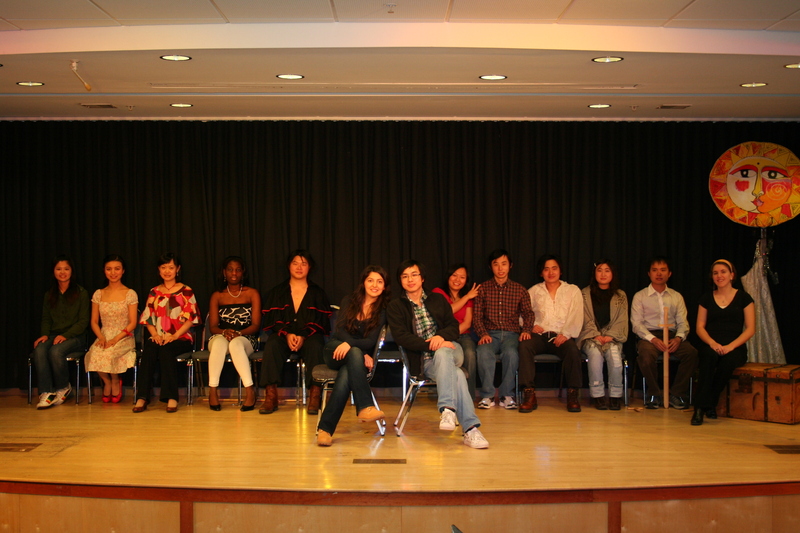 Why Teaching English through Drama Works (2008, April) 42nd TESOL Convention, NYC, NY. Readers' Theatre Online Workshop (2007, March) Electronic Village Fair, 41st TESOL Convention, Seattle, WA. How Readers' Theatre Teaches All Levels (2007, March) with Alexis Finger, Nigel Caplan, and Judy Trupin 41st TESOL Convention, Seattle, WA. International Congress for Teachers of English, Buenos Aires, AR. (2006, November) Northern New England TESOL, Southern New Hampshire University, Manchester, NH. Effective Uses of Drama in ESL/EFL (2006, March) TESOL Post-Convention Institute, Tampa, FL. Welcome to the Drama Club (2006, March) 40th TESOL Convention, Tampa, FL. Overcoming Drama-Phobia in the ESL/EFL Classroom (2005, March) 39th TESOL Convention, San Antonio, TX. Southern New Hampshire University, Manchester, NH. Using Drama for Pronunciation Practice (2004, March) 38th TESOL Convention, Long Beach, CA. Readers' Theatre Techniques for Pronunciation Practice (2002, November) NNETESOL Conference, Southern New Hampshire University, Manchester, NH. ESL Drama (2000, April) NNETESOL, School for International Training, Brattleboro, VT.
Learning English through Culture and Drama (1996, April) School for International Training, Brattleboro, VT.
Carkin, G. (2007) Teaching English through Drama: The State of the Art. Manchester, NH: Carlisle Pulbications. Carkin, G. (2005) Ten MORE Plays for the ESL/EFL Classroom, Manchester, NH: Carlisle Publications. Carkin, G. (2010) Vygotsky, Stanislavski, and second language acquisition. English Teachers Association of Swtzerland Journal, Spring. Hsu,L. & Carkin, G. (2009) A holistic English classroom through drama: applied drama techniques, process drama, and readers' theatre. ETRA Conference, Seoul, South Korea. Carkin, G., et al. (2009) Readers' theatre: turbo-charged language acquisition. Authenticity in Adult Classrooms and Beyond. Ed. Sarah Rilling. Alexandria, VA: TESOL, in press. Carkin, G. (2005) Seven ways to use written plays for language acquisition: acting and English in seven easy steps. ETAS (English Teachers Association of Switzerland) Journal. 5 (1) 39-41. Teacher. ET 1 (1.5) Winter. Alexandria, VA: TESOL. Carkin, G. (2003) The promotion. Southern New Hampshire University Journal 20 (1) 124-128. Carkin,G. (1985) Likay: the Thai popular theatre and its political function in Thailand. New Hampshire Colloge Journal 3 (1) 6-15. Carkin, G. & Gerace, F. Drama in development: its integration in non-formal education. Occasional Papers: Non-formal Education Information Center. Institute for International Studies in Education. MSU: East Lansing, MI. Dr. Carkin's scholarship focuses on how dramatic activity can create context for language learning while at the same time providing framework for the acquisition of culture, acceptable social behavior, appreciation of diversity, and ethical decision making. He is the author of two books of plays related to the needs of international students and his book, How to Succeed in the USA, offers simulation exercises to prepare students coming to the USA with appropriate vocabulary and strategies that lead to successful social interactions. Dr. Carkin has developed a theory and practice of dramatic activity to produce personal growth, increase linguistic facility, and develop awareness of self-worth. 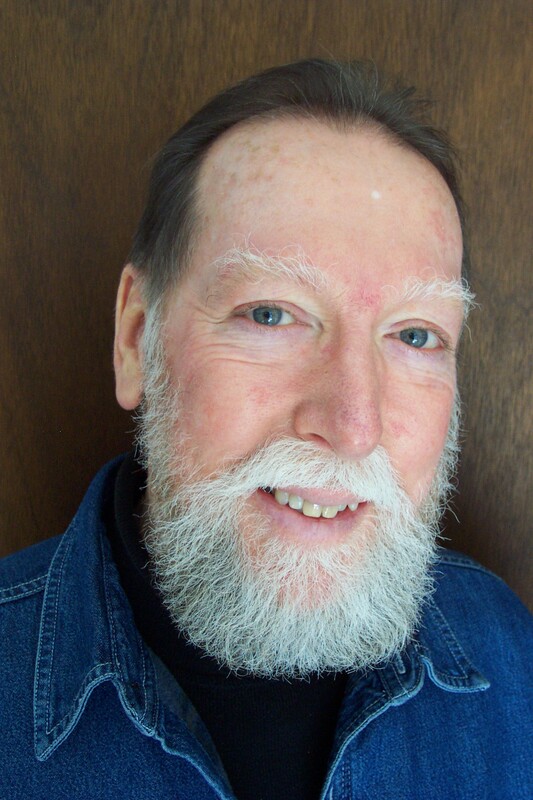 From over four decades of classroom research and theatre production, he has distilled principles that lead to accelerated language learning through focus on inner speech, imaging, movement, and motivation. Through such focus, language acquisition is supported by aesthetic conditions that encourage language learning and acting that extends from the classroom and can be applied to everyday situations. Theaterography: Please click the navigation bar above under "HOME" for acting and directing credits. TESOL-Drama: The English language drama forum connected with the Electronic Village Online. Click here and look at the bottom of the site's home page for the site of each year's workshop, 2005-current. Join each year and enjoy the rich archives!